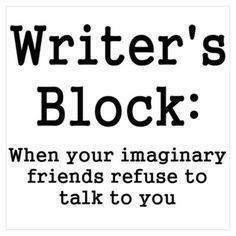 I saw that definition of writer’s block this morning from The Writer’s Circle on Facebook, and it struck me. Of course, just last week, I mentioned how I and other writers hear these voices in our heads, so when they go silent, well, I guess you could call that writer’s block. For someone like me, when they stop talking to me, I’m in trouble. I don’t write with a massive outline or roadmap to my novels in front of me. I’m what you call a pantster. 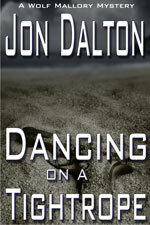 I have a general concept of the story and who my characters are, and I start writing, letting them tell their story. But, boy oh boy, when they stop talking…. Okay, scene with Wolf meeting Trasker, and sure enough the eggs are frying, the coffee’s brewing and Wolf can move forward while I enjoy breakfast. Oh, sorry, I got sidetracked. So, do I have a point here? I guess it’s be open. Let all those characters have a voice in the mental play in our minds. Who knows, by listening to them, you may be surprised at the results.